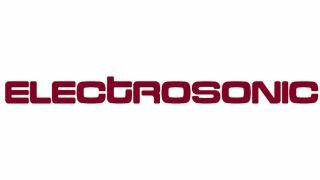 Electrosonic has expanded its engineering and project management teams with the addition of 10 new employees who will assume posts at the company’s U.S. headquarters in Burbank, CA and in Orlando, FL. The new hires are part of Electrosonic’s Employer Branding Initiative, which includes an extensive recruitment process to support significant business growth last year and the fast pace Electrosonic has set for 2017. “It’s a challenge finding engineering and project management support in a market where every major company is looking for the same limited pool of people,” said Michael Harkness, vice president and general manager, operations. “There’s a scarcity of talent, and it’s difficult to get quality people to apply for positions. Rather than posting job openings, we took a very proactive and specific approach to finding the right talent to meet our needs and service our customers. In addition to its new hires, the company has restructured its operations in Burbank and Orlando with teams now working across offices on projects instead of operating separately as regional teams. Electrosonic has rebranded and relaunched its apprenticeship program, now called START (Systems Technology and Resource Training). The one-year paid training program, with a full benefits package, has been successful in introducing fresh talent to Electrosonic, according to the company.